Harmony, Maryland lawn mower and small engine repair services are reliable and affordable with VINCE CHRISTIAN Lawn Mower and Small Engine Repair. 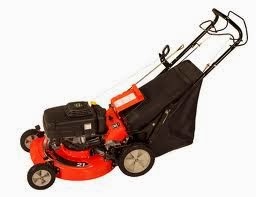 We offer pickup and delivery for all lawn mower and small engine repair services. We service and repair all lawn mower brands and keep you cutting the grass with dependable lawn mower repair you can rely on, year after year. VINCE CHRISTIAN also stocks parts. We carry a full line of tune up parts such as spark plugs, air filters, fuel filters, and oil filters. We also have many used parts and stock a wide variety of parts for all makes and models of small engine equipment. From chainsaws to generators to riding mowers, chances are we have the part you need. If we don't have your part in stock, we can get almost any part for any make or model next day. Give us a call and let us help you with the part you need!